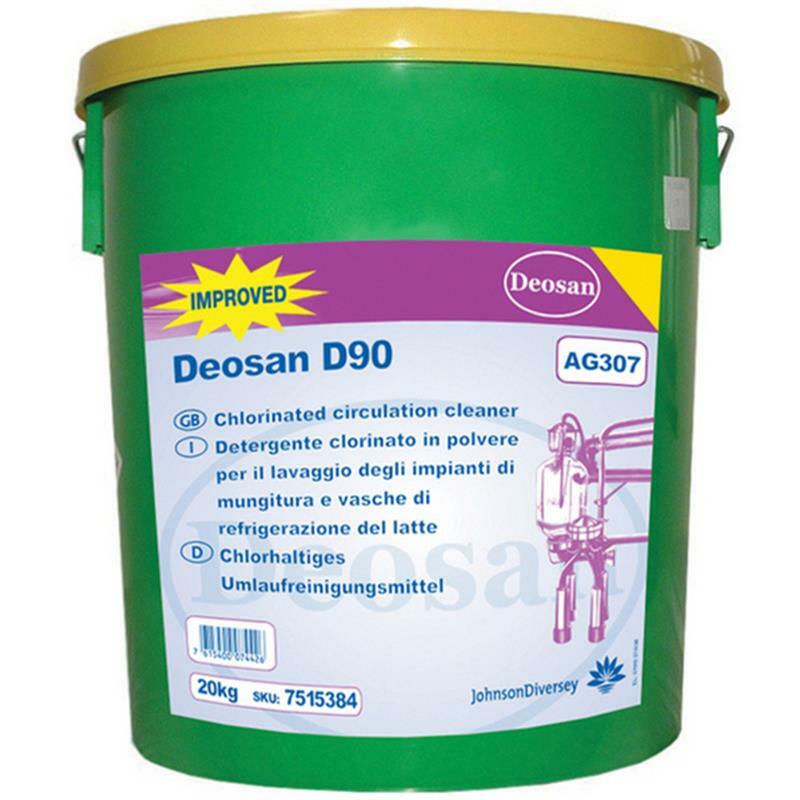 Deosan D90 is a highly alkaline detergent disinfectant powder designed for the circulation cleaning of all types of milking plants, especially those where milk meters are fitted. Free flowing concentrated detergent disinfectant powder. Excellent cleaning for all types of milking parlour by re-circulation. Powerful bacterial activity, soil suspension and water softening properties. 100gms / 40 litres of water.